Both KUVN Univision 23 and the Tribune will livestream the debate online Friday evening. C-SPAN also plans to broadcast the debate in English. Democrat David Alameel (left), is challenging U.S. Sen. John Cornyn, a Republican who was first elected to the Senate in 2002. Texas voters will have a chance to view the only debate in the U.S. Senate race between Republican incumbent John Cornyn and Democrat David Alameel in both English and Spanish. 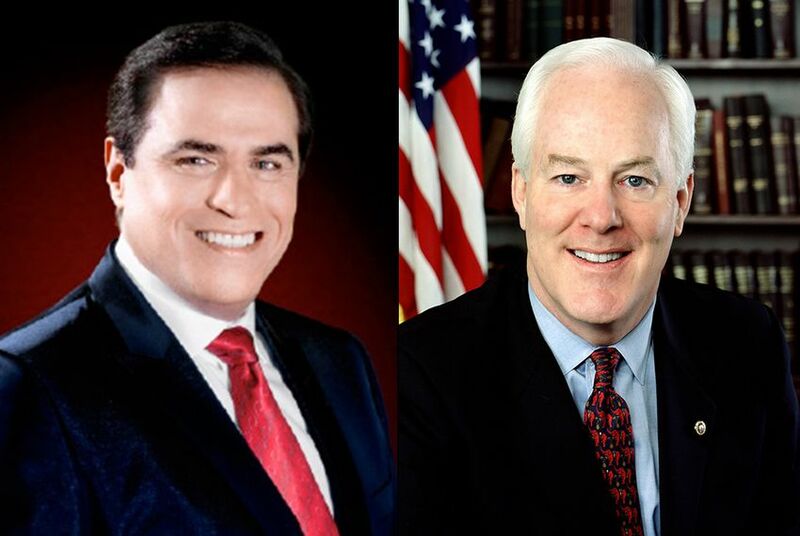 Univision is hosting a one-hour debate Friday at 7 p.m. between Cornyn and Alameel in Dallas. The debate will be conducted in English and Univision plans to broadcast it Saturday evening on its stations in Texas at 10 p.m. with the candidates’ remarks dubbed in Spanish. Until recently, Alameel’s campaign and others had expressed concerns that Texans who didn’t know Spanish would be unable to watch the only debate in the race. Univision had said it was open to working with other media outlets to make the debate available in English. On Thursday, options to view the debate in its original English emerged. Both KUVN Univision 23 and The Texas Tribune will livestream the debate online Friday beginning at 7 p.m. C-SPAN also plans to broadcast the debate in English on Wednesday at 9 p.m. Central. A University of Texas/Texas Tribune Poll released Thursday showed Cornyn with 57 percent support of likely voters compared to 31 percent support for Alameel. Correction: A previous version of this story gave an incorrect date for when C-SPAN plans to air the debate.